To begin the registration process, please mail a completed Enrollment Form along with a non-refundable $75 registration fee to our school at 1414 Kramer Lane, Austin 78758. Separate Enrollment Forms for each child are necessary, although only one registration fee per family is requested. 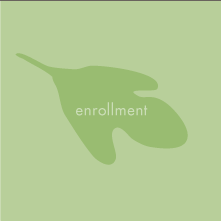 The completed Enrollment Form and registration fee will place your child on our waitlist for up to one year. When space is available, we will contact you to begin the phase-in process. To secure your space, you will be asked to submit a deposit of ï¿½ of your first month's tuition. Before your child’s first day, both parents will want to attend a School Orientation which lasts approximately one hour and includes a school tour and an introduction to Montessori philosophy. You may attend a School Orientation prior to submitting your Enrollment Form. American Montessori Society Initiate Member school locally owned & operated.